This cabinet contains many organized items. The top shelf is a shelf that I can not reach. Here we put storage for food that we found on sale. The second shelf has our food storage container organizers and measuring cups. The last shelf has our plates and bowels on storage racks. I love the corelle dish set because they are very easy to stack. We bought two sets so we would have enough for guests or if we just need to get more wash done. I love having all the same silverware. Keeping them organized in a simple, easy to clean in the dishwasher tray is easy. I bought these at Ross on sale. About Lisa RusczykLisa is the creator of the blog Charlie the Cavalier. 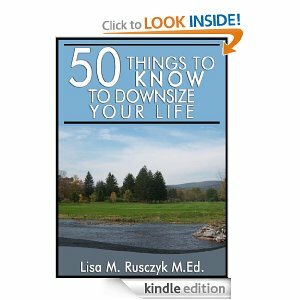 She is also the author of 50 Things to Know Before Having a Baby.. Send Lisa Rusczyk and email at lbrennec@gmail.com.